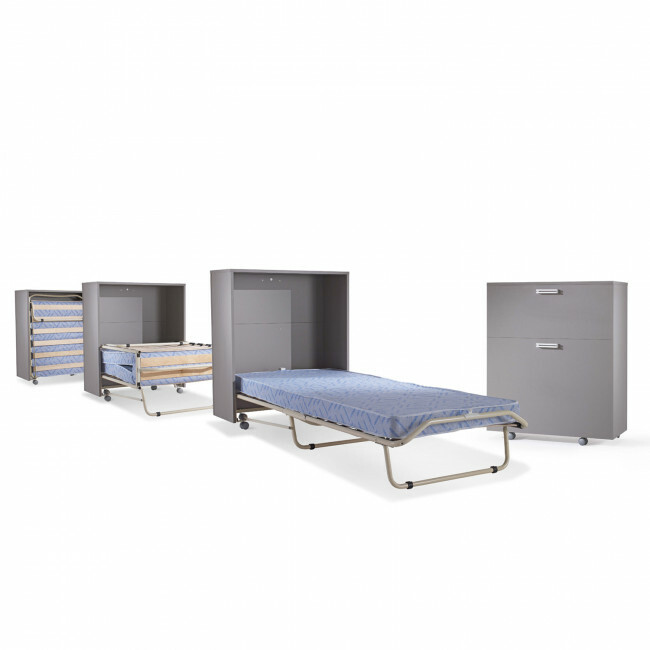 Link Bed is a single guest bed contained by a cabinet with casters, and equipped with a slatted base and a cm 10 high mattress. 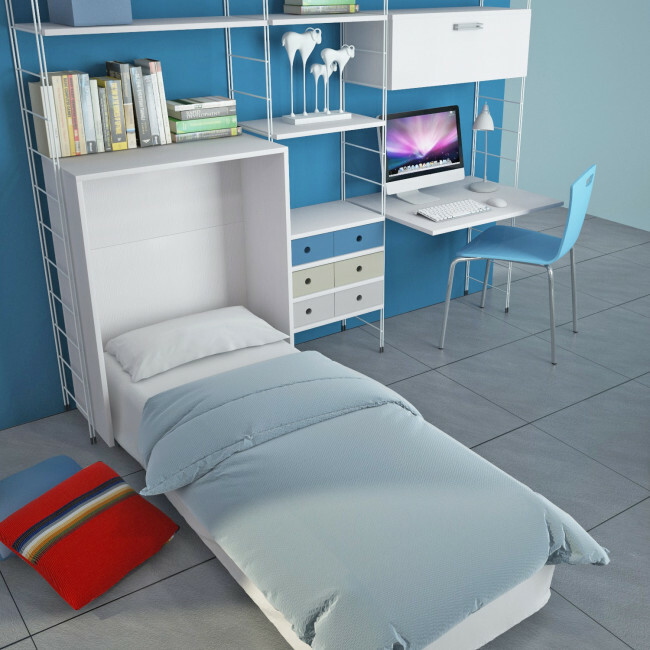 It is a space-saving solution ideal to use when you need an extra bed. 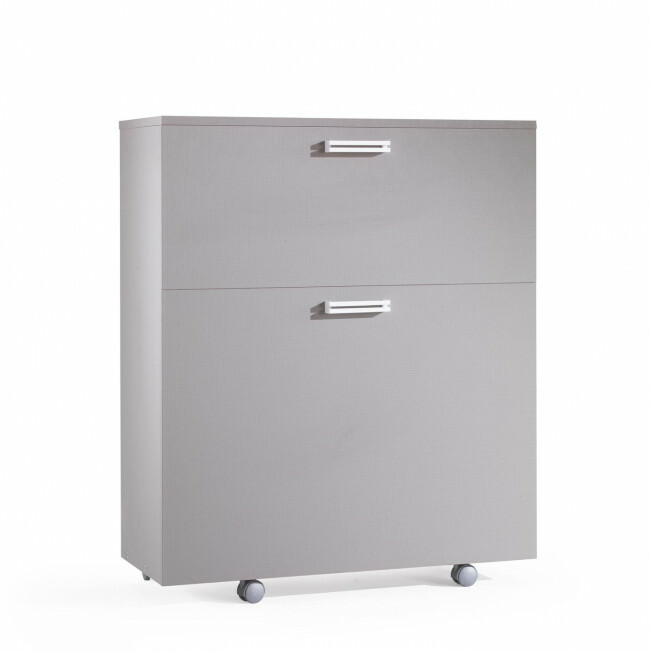 When closed the cabinet has a small volume and it can be placed against a wall of the bedroom, or in the empty space next to a wardrobe, hidden in a recess, in an under-stair closet or in the storage room. 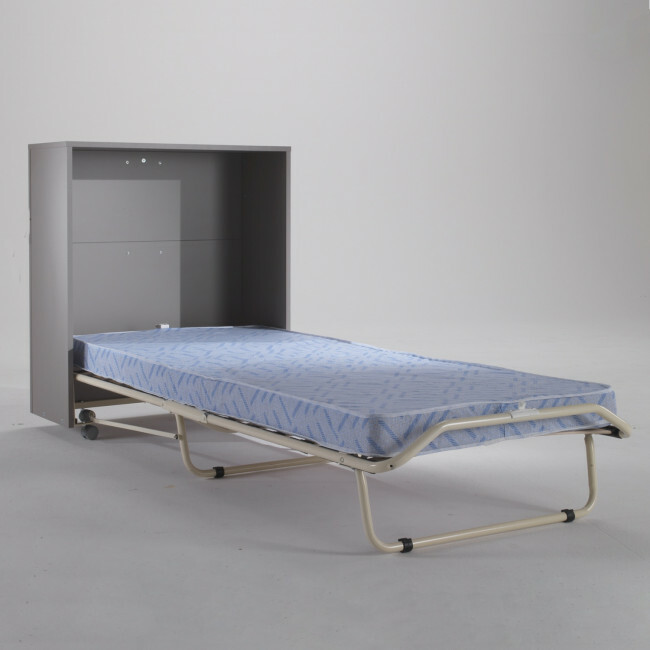 When needed it can be either easily moved on the casters without having to lift it or opened to use the foldaway bed. Link Bed is ideal when you need to host a guest overnight or during children pyjama parties. In the product card dedicated to Link Night you can find complete solutions for the kids bedroom. 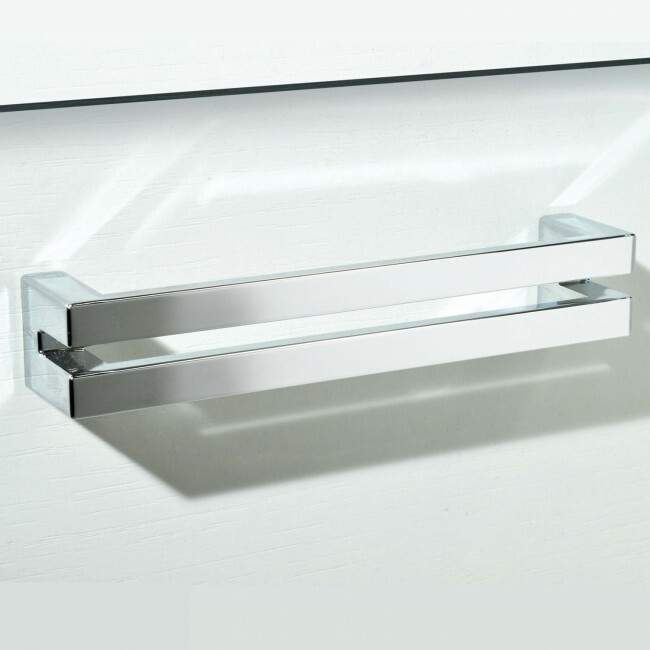 Use the product configurator to go through the available finishes for the bed structure and handles. Link Bedsingle guest bed features casters, includes a wooden slatted base and a mattress..
Link Bed is a single guest bed featuring a mattress and a wooden slatted base. It belongs to Link collection, a modular system with columns allowing to compose bookcases, shelving systems for offices including desks, wall systems for the living room, walk-in closets and kids bedrooms furniture solutions.